​A wireless panic button is a device that can be pressed by a user to request immediate police, fire or medical dispatch. As long as the button is within range of the panel, it will tell the system to send a signal to the monitoring station for quick help. 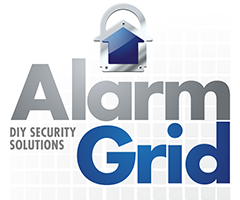 Buy a wireless panic button from Alarm Grid. Wireless panic buttons are security devices that are generally used in emergency situations only. Once the button has been pressed, a signal will be sent to the security panel so that a distress signal can be sent to the central station. Once this signal has been received, the central monitoring station will contact the authorities in the local area for help. Depending on how the device has been programmed, police, fire or medical dispatch will be sent. It is common for wireless panic buttons to be used in both residential and commercial applications for contacting the police. For example, a person may keep a wireless panic button by their bed in case they hear an intruder downstairs while they are trying to sleep. Another possibility is for a bank manager or a jewelry store owner to keep a wireless panic button on their person so that they can quickly send for help in the event of a robbery. The response type can also be set up as a silent panic so that the intruder will not know that an alarm has been activated. Wireless panic buttons can also be used to request medical help or to alert the fire department of a fire. Many elderly or sickly people use wireless panic buttons to request immediate attention in the event of a medical emergency. These devices are often worn in the form of a necklace or wristband so that they can be easily accessed by the wearer at any time. Additionally, it is also common to keep a wireless panic button in a kitchen in case a fire occurs so that the fire department can be easily contacted. Many wireless keyfobs can also function as panic buttons. This will allow you to carry a wireless keyfob with your car and house keys so that you can quickly access your panic button upon returning home. While the other buttons will typically be used for simple actions like arming and disarming, having a button assigned as a panic is never a bad idea. For instance, you might return home and notice a broken window while you are still in your car. In this case, it would be best to press the panic and alert the authorities from your car, as going inside and facing some potential intruders could be very dangerous. Wireless panic buttons are often programmed in such a way that reduces false alarms. One way to do this is to require that the button be pressed twice within a few seconds before a distress signal will be sent. Another possibility is having the central station call the user before sending dispatch, in case the panic button was pressed by accident. A user will also be able to choose between having the alarm produce an audible siren or produce no sound and have the device function as a silent alarm. If the wireless panic button is going to be kept near the panel at all times, then it is also a good idea to use RF supervision, so that you will know if the device ever has a low battery or goes out of range of the system.